This winter finale went out on a cliffhanger! 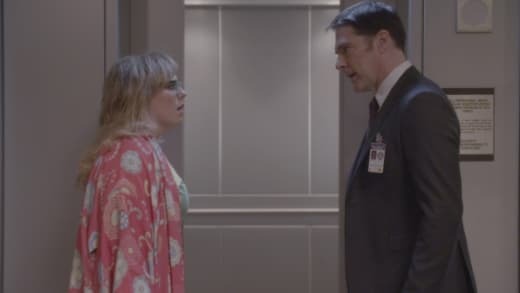 There's been a break in the case of the "Dirty Dozen" hit man gang, a break so big that Hotch had to grab Garcia and take her down the elevator while she was still in her PJs. Fade to black. The case of the week for Criminal Minds Season 11 Episode 10 wasn't nearly as exciting, though it at least was entertaining. It would have been preferable to see more about Garcia's case, but we're only half way through the year so there's lots of time to go into that one. This episode's unsub was a grown man still traumatized by a childhood event at a nursing home. So much so that he attempted to get into the medical field to find a cure for growing old. To do that, he used blood transfusions and the DNA from creatures known for their longevity in order to arrive at a "fountain of youth" remedy designed to stop the aging process. Oh and he used a few people along the way, most of whom died in the process. But hey, you can't make an omelet without breaking a few eggs, right? It's not often that the audience can get ahead of the BAU team in arriving at the crux of the unsub's motive, but this one was telegraphed quite early. We knew as soon as we learned that jellyfish DNA was in the blood mix that the objective was immortality. Every so often you hear of a species of jellyfish that truly never dies. It's so unusual that it's a factoid that sticks in your head forever. The fact that a little child could become so traumatized is understandable. However, one would think most would either try hard to shut that memory out, or else deal with it in therapy. An old man barking such ugliness at a kid is downright savage and cruel. Maybe this was a case of "flight or fight." This kid – Robert Boles – decided to fight. But then he slipped and fell into an entire world of fantasy, what with all of the Fountain of Youth nonsense. The most heart-wrenching aspect of this episode had to be that lovely couple Eileen and Ben. Your heart just had to melt for those two elderly lovebirds, didn't it? The sweetness of their relationship was compelling and so very sad. The story was richer because of their presence within it. Their's is a kind of relationship to which many of us aspire. Eileen: Listen to me, Ben. When I'm gone, I want you to continue on. Eileen: No, I mean it. I want you to live the life that we talked about. I'll be there with you. Permalink: No, I mean it. I want you to live the life that we talked about. I'll be there with you. JJ was pulled back to her previous role as media liaison. Well, it was a double-duty role as she still had to work as a profiler too. Nice to see Reid mentioned a few times, just to keep him front and center with his fans. It was cool to see Rossi blurt out a bunch of science, and then turn around and credit Reid for it all. I'm not sure I even want to know what a mixture of ice cream and yogurt tastes like. Next time, consider late night pizza, Garcia! The species of jellyfish that can theoretically live forever is called Turritopsis dohrnii. I'm leaving it here for your Googling pleasure. Be sure to join us in January 2016 when we review the next episode! 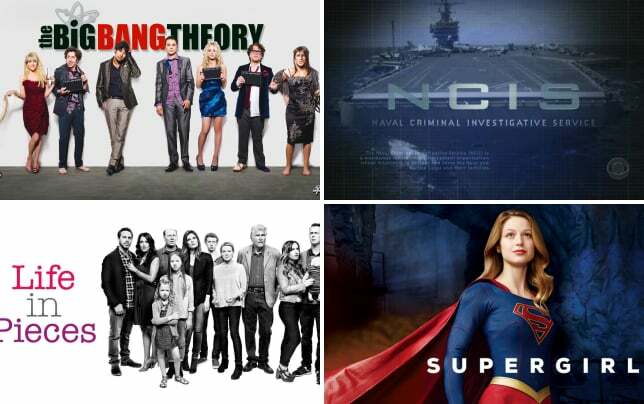 What did you think of this winter finale? What are your thoughts on why Hotch would need to pull Garcia with him while she's still in her PJs? Let us know your thoughts in the comments below!